TPC Kuala Lumpur yielded plenty of low scores Thursday as well as the first hole-in-one of the new PGA Tour season. South Korea started the final round two points clear of the chasing pack and won two of the four singles matchups. 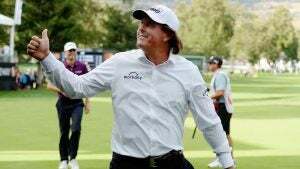 Coming off a winless performance in the U.S. Ryder Cup loss to Europe, Mickelson birdied Nos. 9-14 on the North Course at Silverado Resort and Spa. 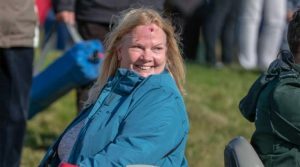 A spectator has been struck on the head by a ball at the Dunhill Links, less than a week after a similar incident at the Ryder Cup. The women’s golf team at ISU has withdrawn from a tournament and returned to Ames following the death of a teammate. The PGA of America is bringing all of its biggest championships to Congressional Country Club near Washington D.C. over the next two decades. When Heck finally hits the professional golf tour, current World No. 2 Ariya Jutanugarn plans to give her a lot of respect. Sangmoon Bae won the Albertsons Boise Open to regain his PGA Tour card, birdieing the final hole for a one-stroke victory. 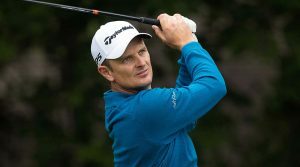 On a soggy day at the BMW, Justin Rose took the 54-hole lead and will chase history on Sunday. But Xander Schauffele and Rory McIlroy lead a group of star-studded pursuers. 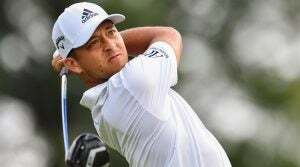 Xander Schauffele had a 6-under 64 for the lowest 36-hole score of his career and a two-shot lead going into the weekend at the BMW Championship.